Here is a link the Facebook event! The Northern Utah Youth Symphony and Chamber Orchestras will be presenting their first concert of the 2018-19 season on Saturday, November 17th, 2018, at 3:00 pm in the historic Ogden High School Auditorium. Admission is free of charge thanks to our current season sponsors: Classical Strings, PetsFirst! Wellness Center, Brain Train Utah and Edge Orthodontics. The all-strings Chamber Orchestra conducted by Nathan West will open the concert with arrangements of the Allegro from Beehoven's Symphony No. 5, Jupiter from Gustav Holst's The Planets, and German Dance by Mozart. The Youth Symphony conducted by Conrad Dunn will then take the stage. They will be performing Schubert's Rosamunde Overture, Bizet's Carmen Suite No. 2, and Vaughan-Williams' Fantasia on Greensleeves. 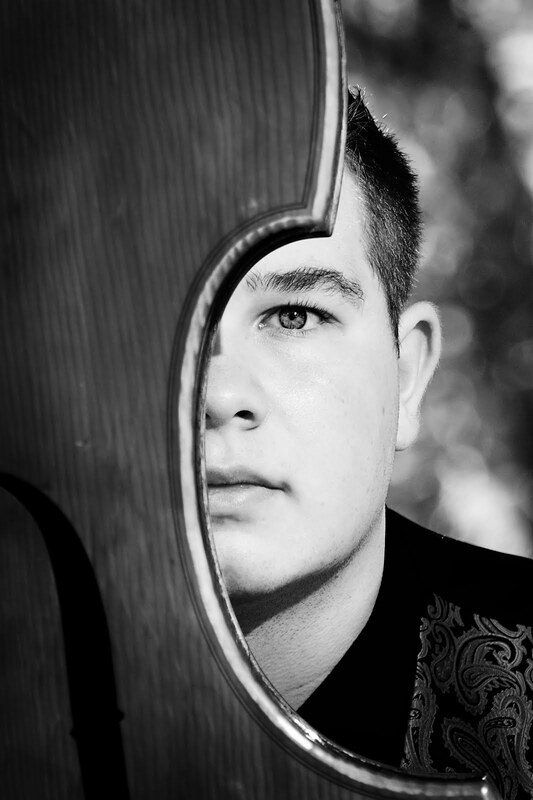 The concert will also feature Tyler Morgan performing the Andante from Bottesini's Bass Concerto No. 2. Tyler was selected to perform with the orchestra at the NUYS concerto auditions in August. Tyler J. Morgan has been studying with Braun Khan, assistant Professor of Double Bass at Utah State University, and has been playing the bass for 8 years. He is a Junior at Logan High School, where he is currently serving as the principal bass player for the Logan Philharmonic Orchestra. This year marks Tyler's second year with the Northern Utah Youth Symphony, where he is also serving as the principal bass player. While at Logan High School, Tyler has participated in Regional and State Solo and Ensemble Festivals, where he has received superior ratings. He has performed at Abravanel Hall, Universal Studios, Kingsbury Hall, Caine Concert Hall, and Ellen Eccles Theater. Tyler has performed with Black Violin and has been coached by Fry Street Quartet, Corbin Johnston, Associate Principal Bassist with the Utah Symphony, and members of the Utah State Symphony and Weber State Symphony. Tyler is currently participating with Mountain West String Academy Chamber Music Project and performed for the ASTA Master Class Workshop at Juan Diego High School. Tyler has also played in the pit orchestra for several Musicals, including Cinderella and Singing in The Rain. Tyler currently teaches bass lessons and tutors bass students from Cache Valley. Tyler has admired this piece for many years and is inspired by Giovanni Bottesini. Tyler would like to thank all his music teachers and mentors who have helped him along the way. He would also like to thank his family and friends for their support. Reminder: Tour Deadline is this Saturday! Tour Information for 2019 - Deadline approaching! Chamber Retreat Info. Please Read.